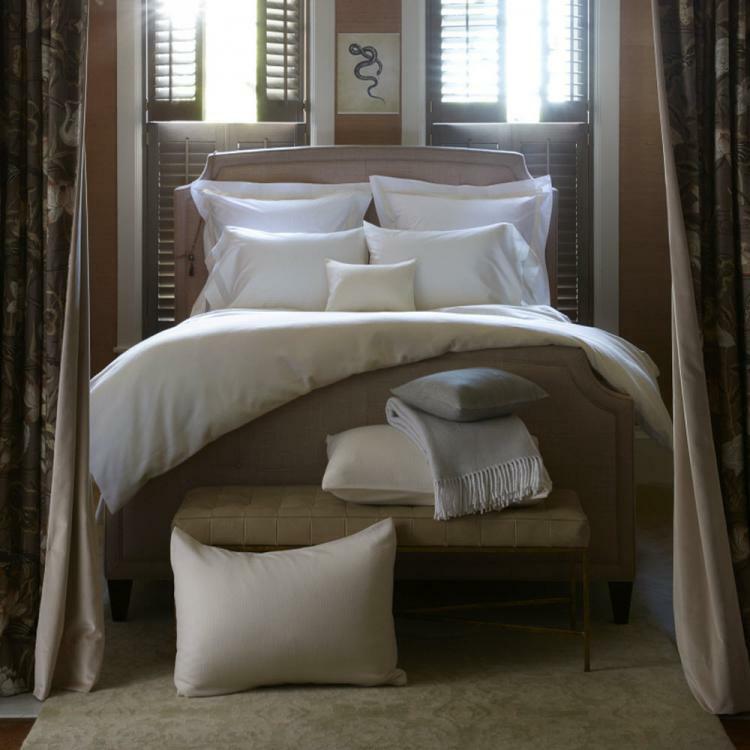 Add texture and tone to your bed with a blanket, duvet, or shams sewn from out Tomas knit. Tomas is crafted from cotton and wool threads that are expertly blended to produce the softest hand and then finished with a knife-edge effect for a clean and urban look. The blanket, hemmed with two-inch trim, is a contemporary alternative to a coverlet. The duvet is backed with sheeting for durability and structure. All are available in versatile shades of ivory and grey. Made in the USA of fabric woven in Italy.